Erected 1972 by E Clampus Vitus, Billy Holcomb Chapter. Location. 33° 39.66′ N, 115° 43.308′ W. Marker is in Chiriaco Summit, California, in Riverside County. Marker is on Chiriaco Road near Summit Road, on the right when traveling west. Touch for map. Marker is at or near this postal address: 62434 Chiriaco Road, Indio CA 92201, United States of America. Touch for directions. Other nearby markers. At least 8 other markers are within walking distance of this marker. 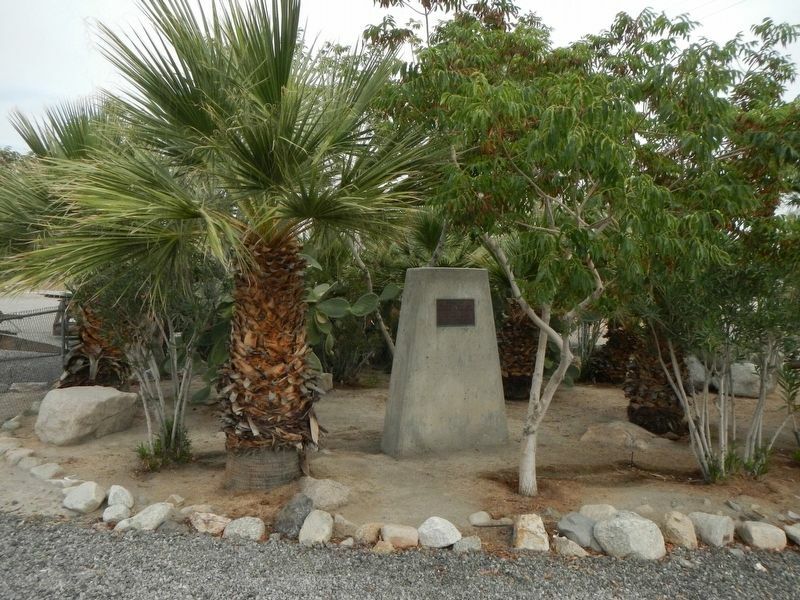 Catapults (a few steps from this marker); Scythed Chariots (a few steps from this marker); Cannons (within shouting distance of this marker); 33-barreled Organs (within shouting distance of this marker); The Chiriaco Family (within shouting distance of this marker); Coachella Valley Recipients (about 400 feet away, measured in a direct line); The Desert Training Center (about 400 feet away); a different marker also named Desert Training Center (about 400 feet away). Touch for a list and map of all markers in Chiriaco Summit. More about this marker. This marker is located near the General George S. Patton Museum. More. 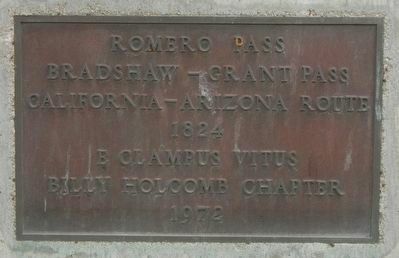 Search the internet for Romero Pass. Credits. This page was last revised on October 31, 2016. This page originally submitted on October 31, 2016, by Barry Swackhamer of San Jose, California. This page has been viewed 264 times since then and 4 times this year. Photos: 1, 2. submitted on October 31, 2016, by Barry Swackhamer of San Jose, California.